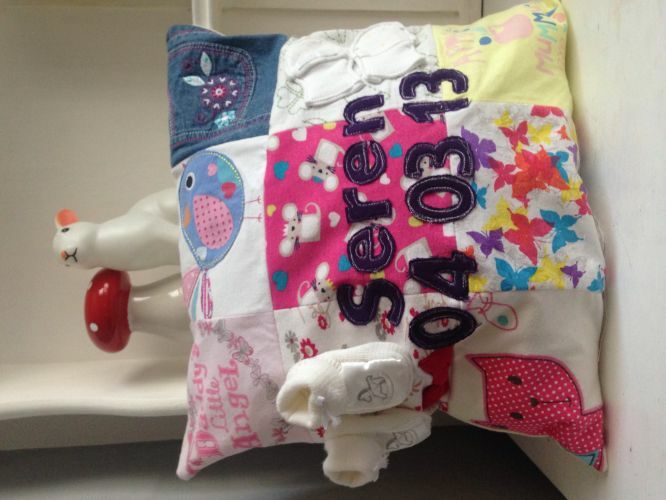 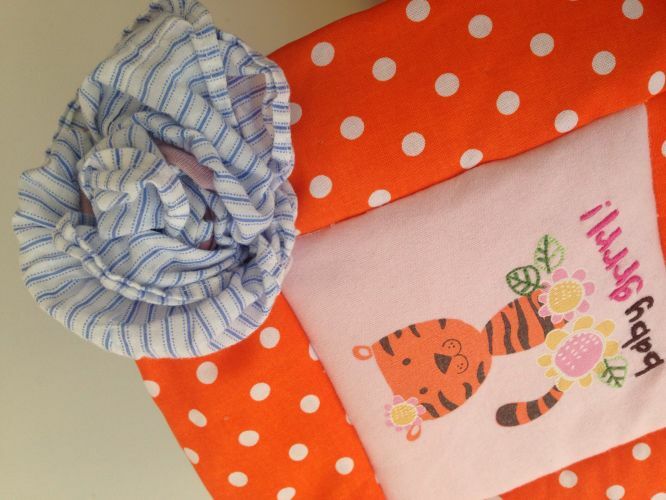 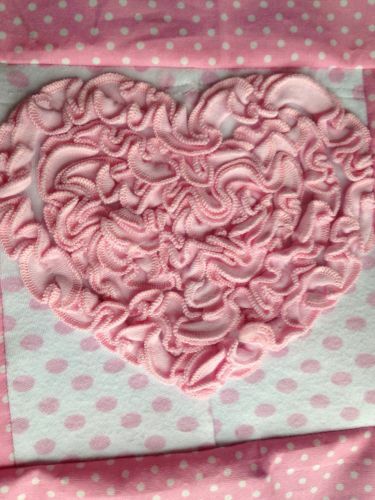 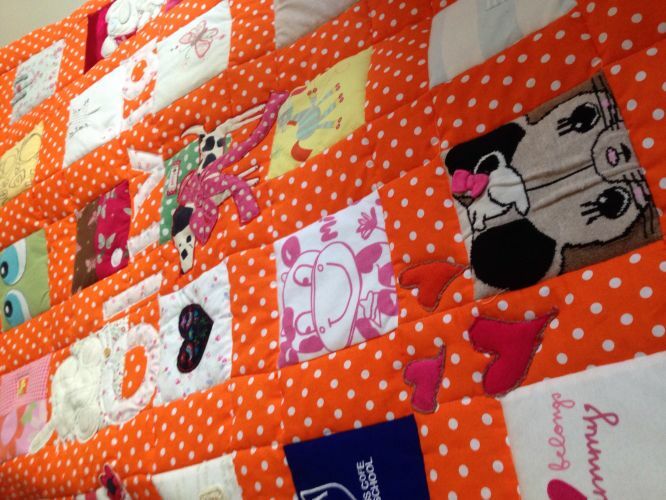 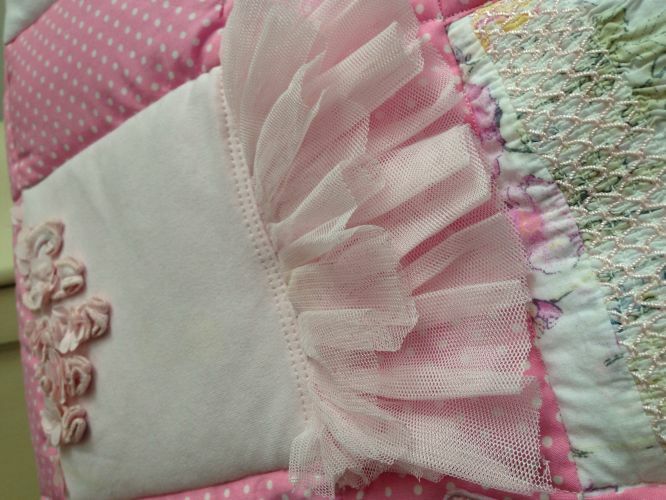 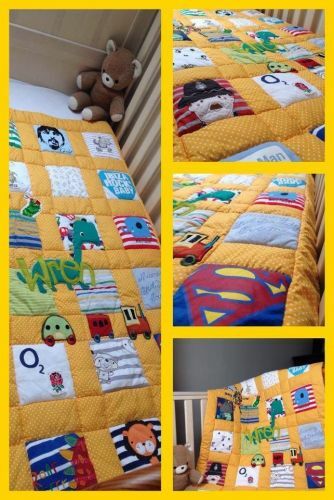 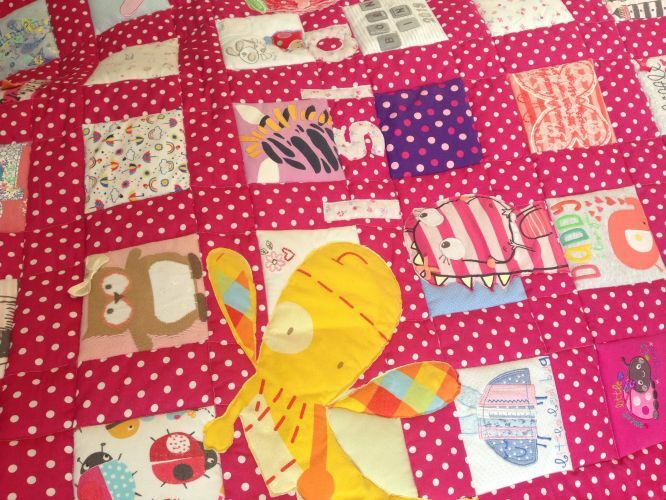 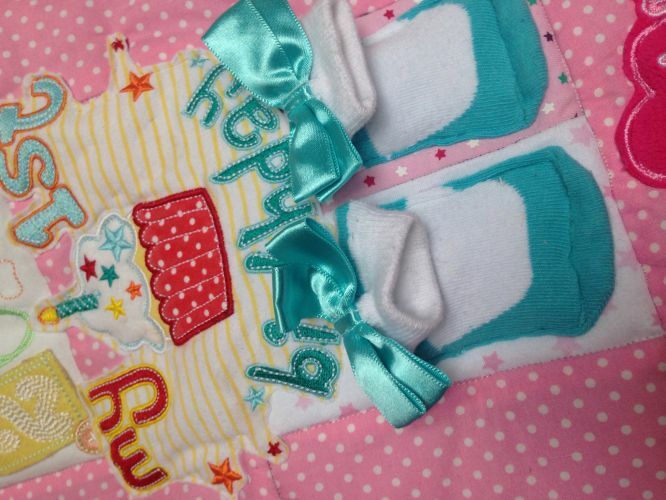 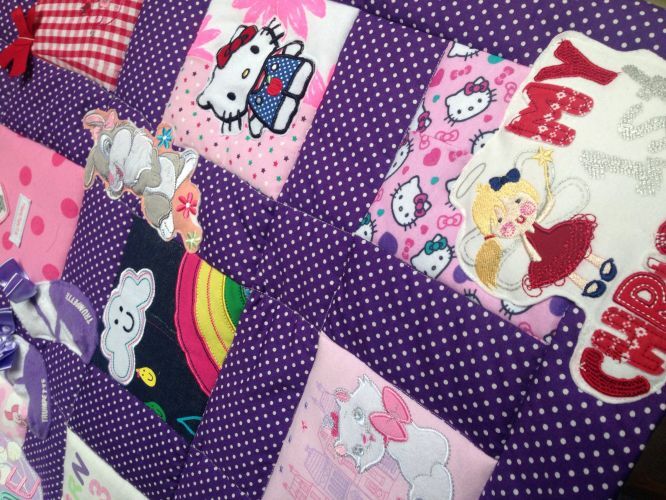 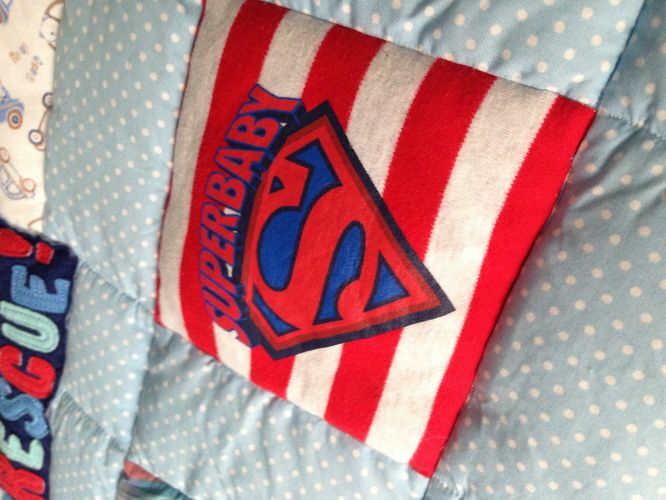 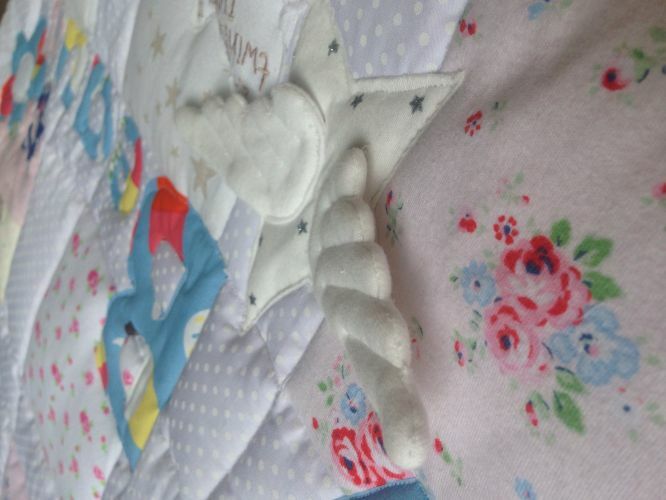 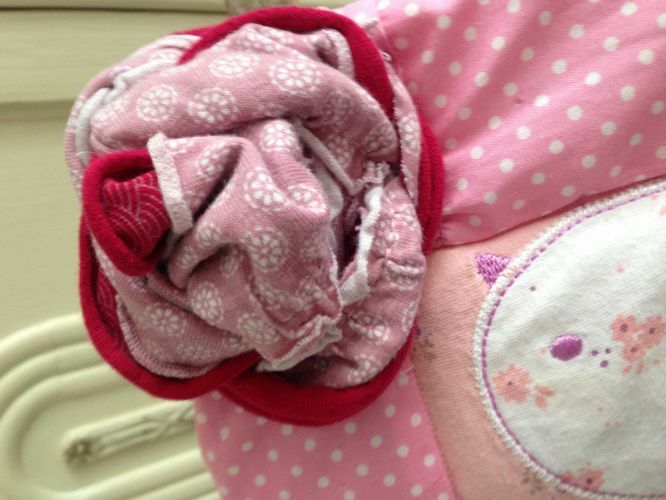 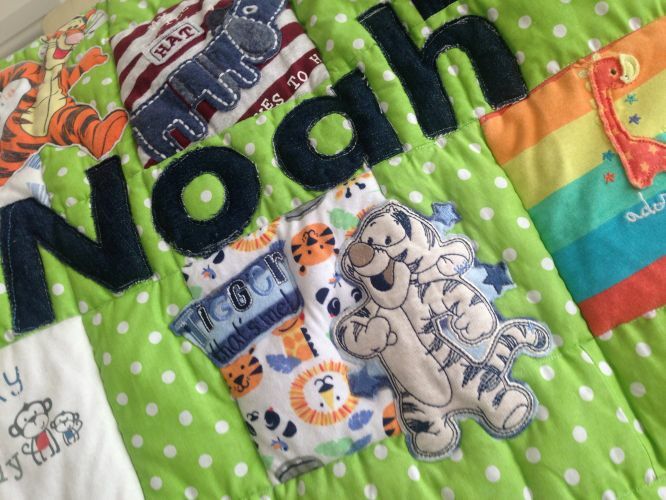 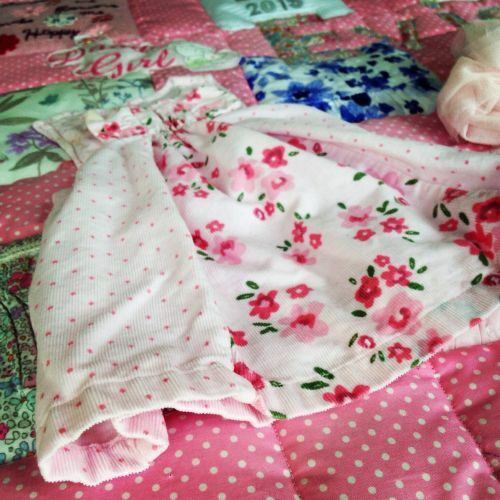 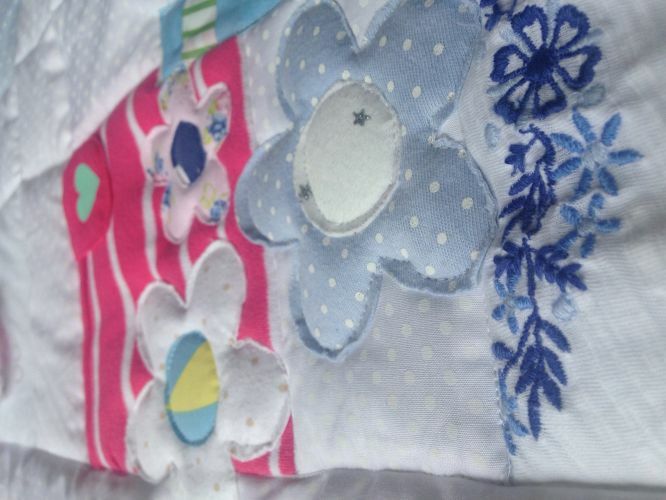 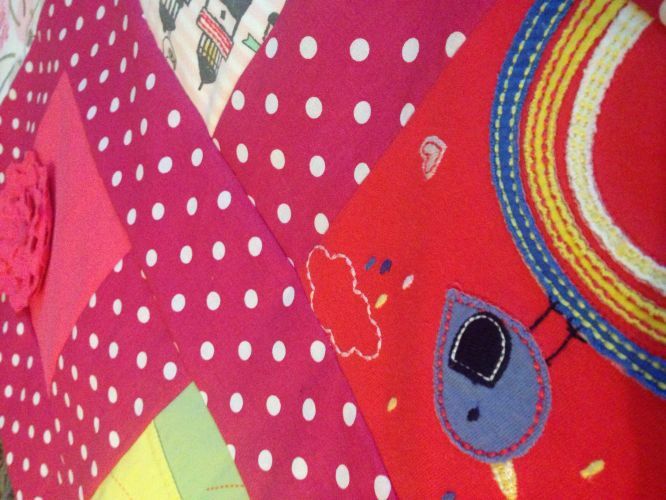 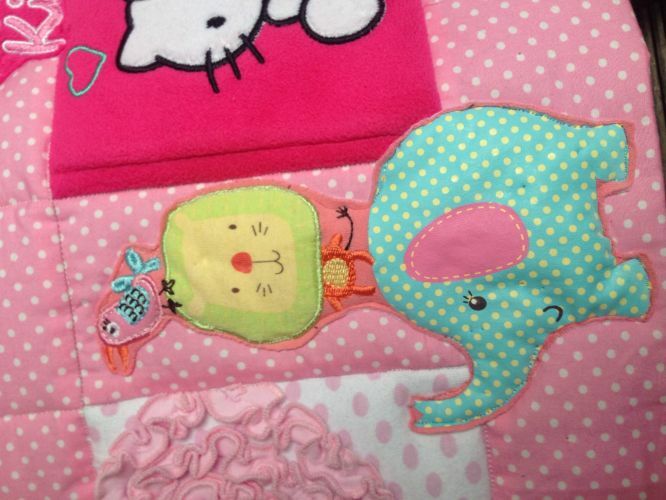 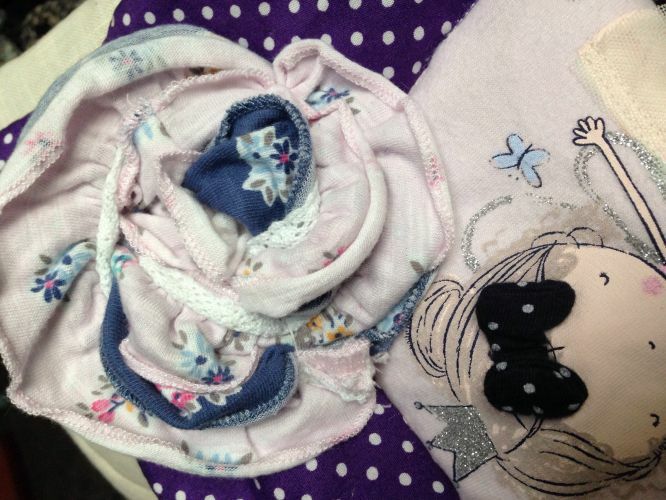 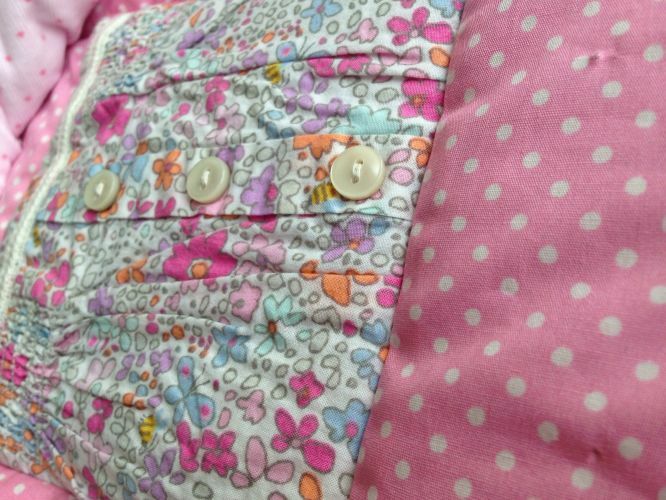 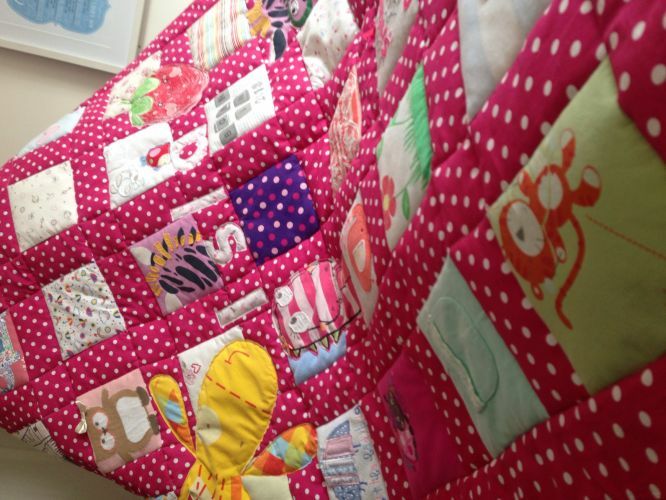 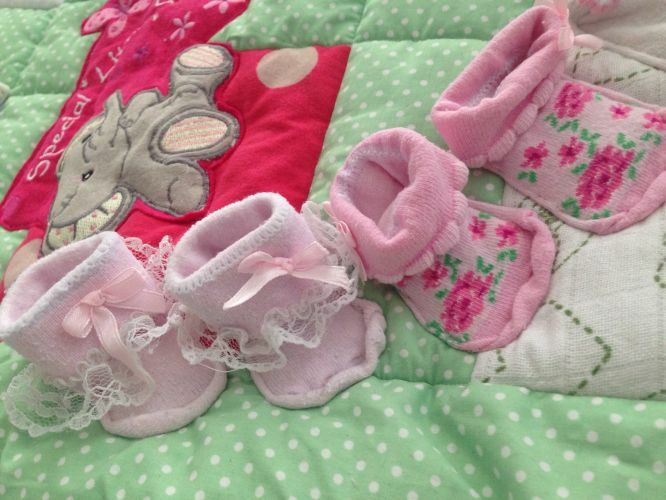 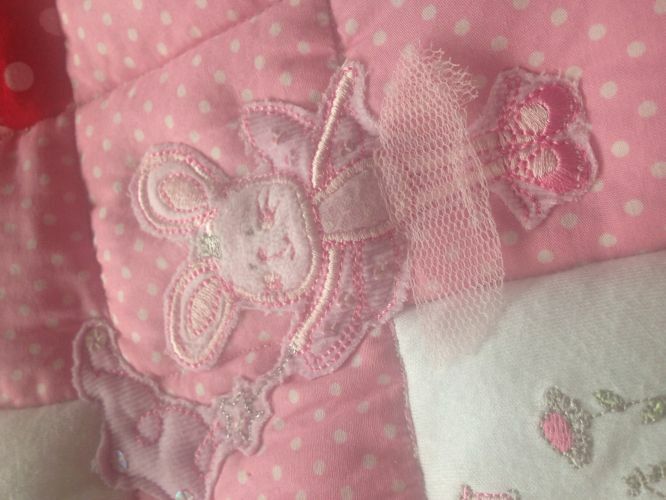 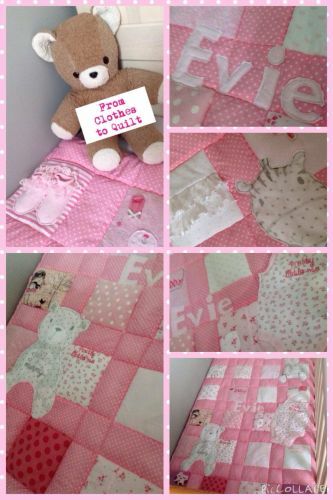 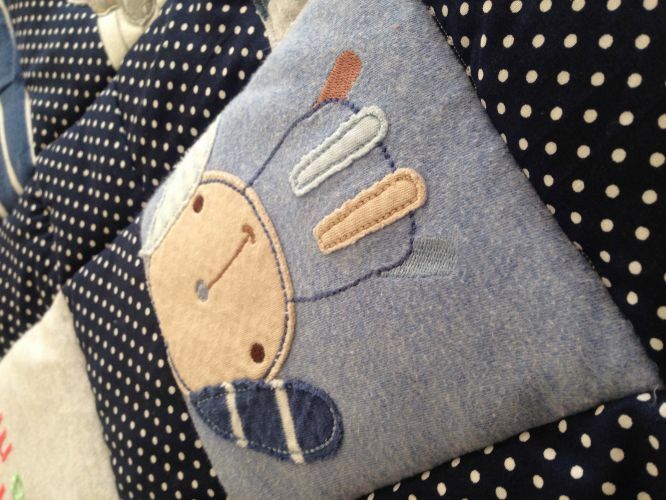 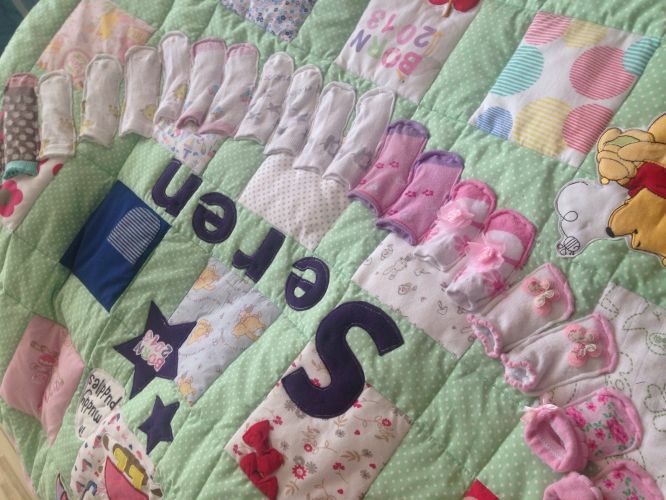 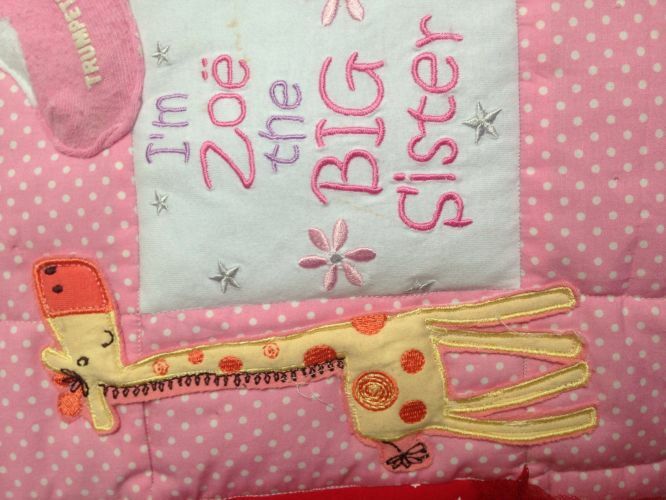 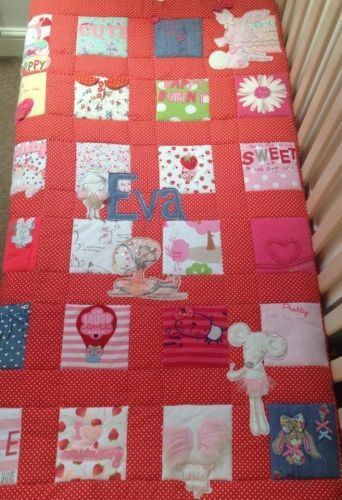 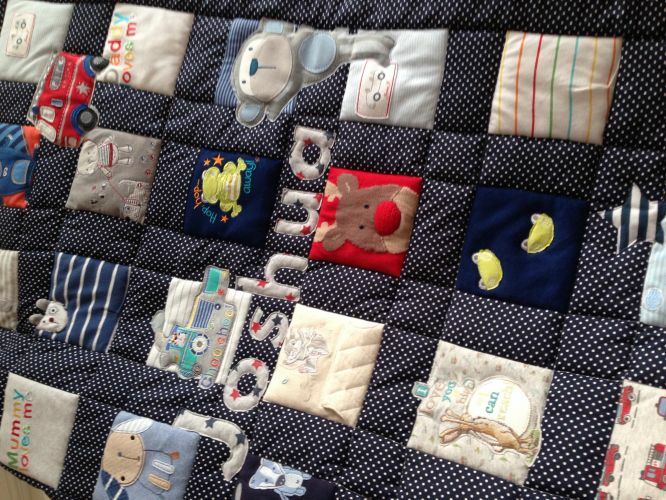 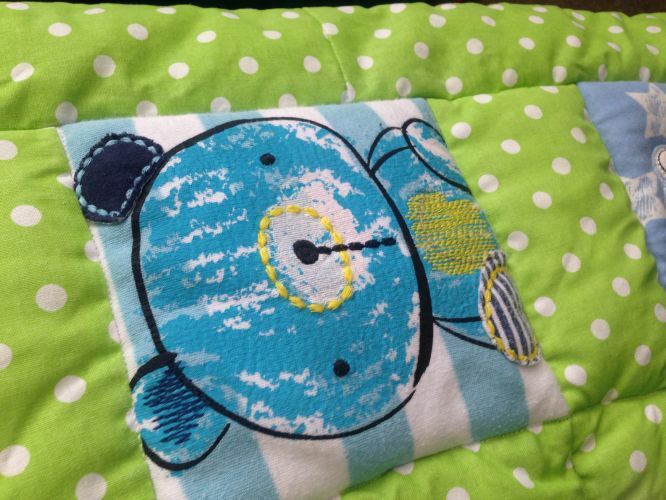 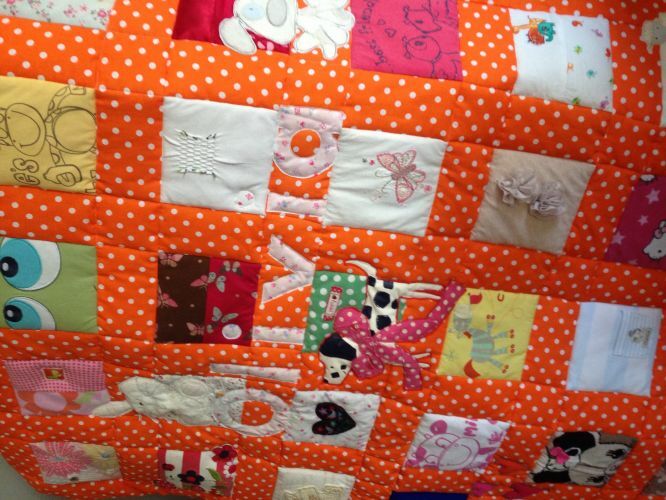 Memory Quilts made from cherished baby clothes. 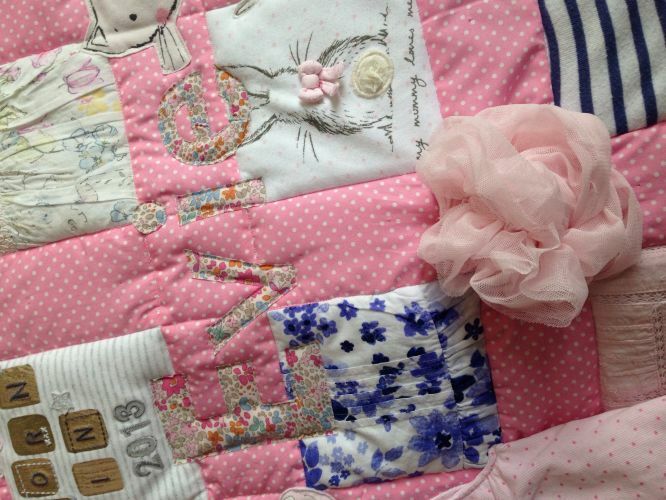 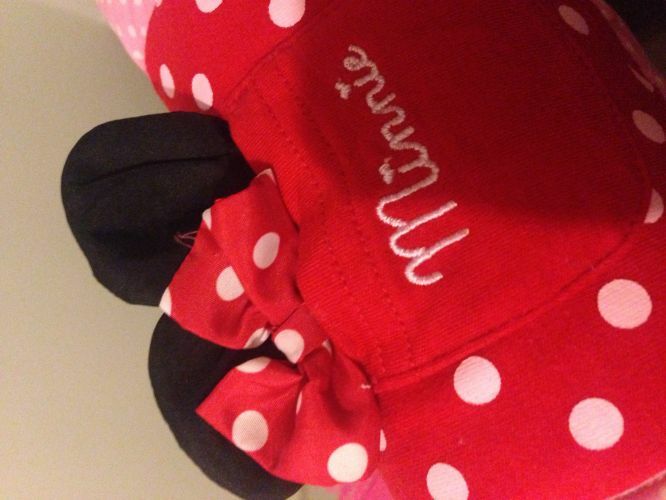 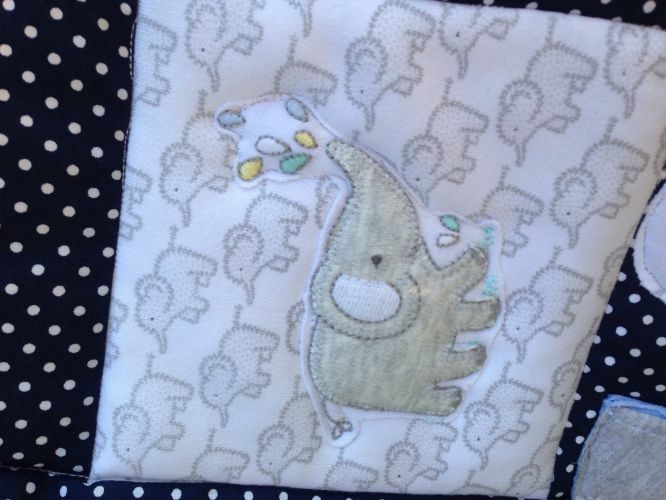 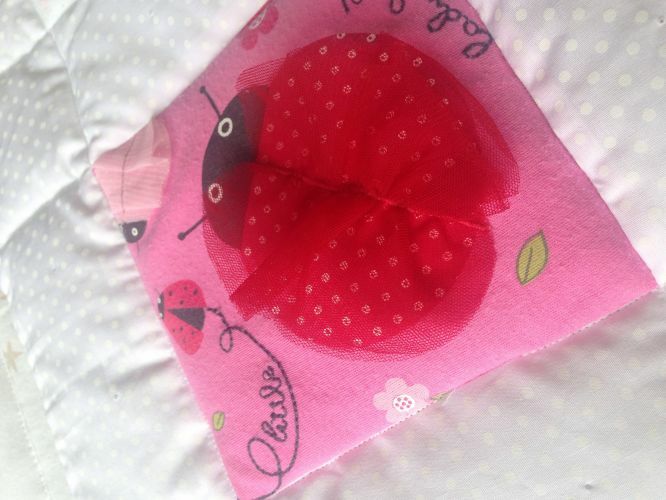 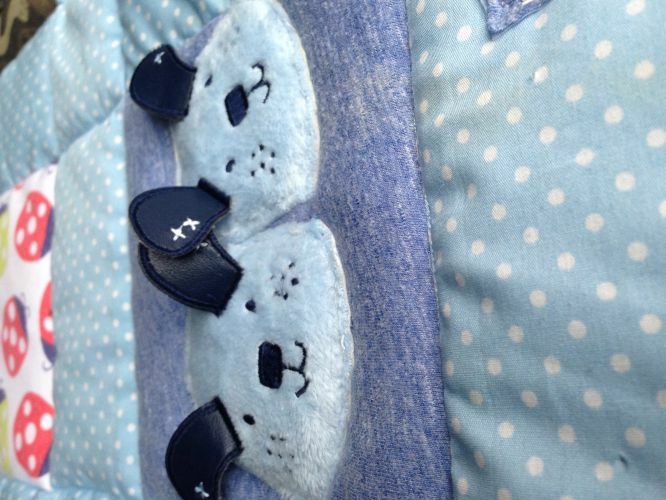 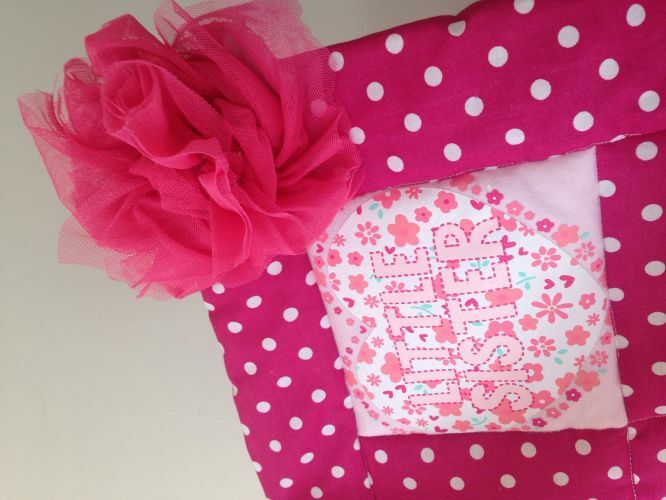 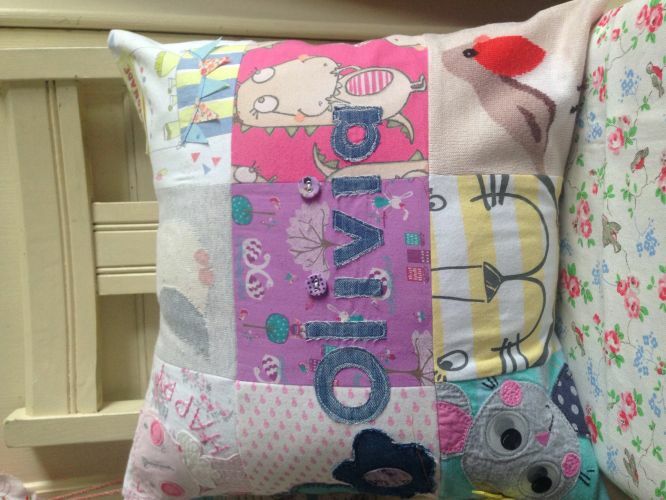 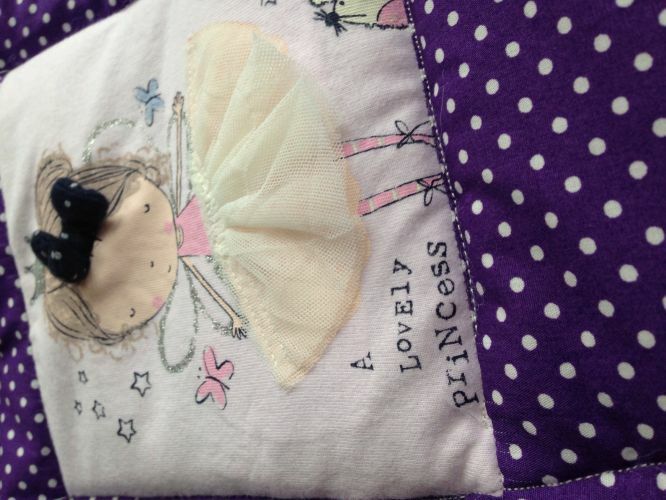 The perfect way to remember those early years, create an heirloom and upcycle! 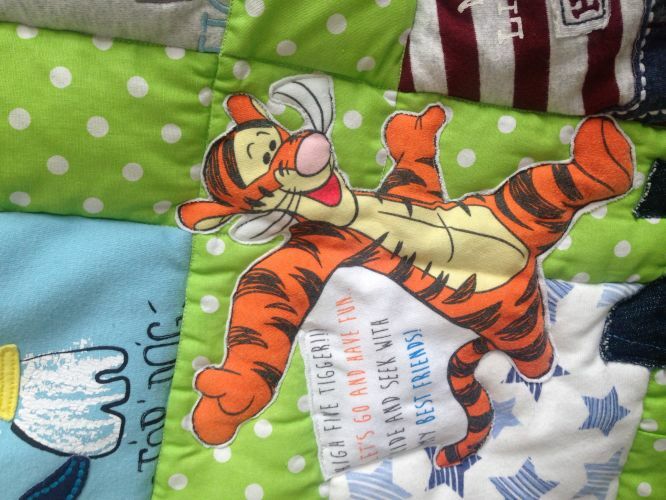 A lawyer in a former life, I'm finally tapping into my creative side and absolutely love making Memory Quilts. 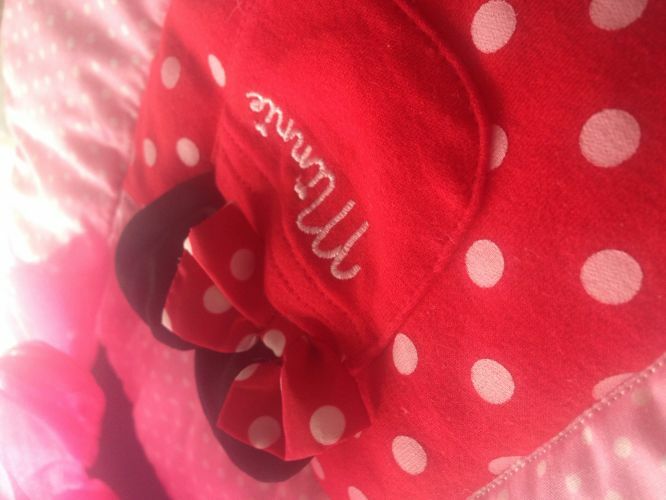 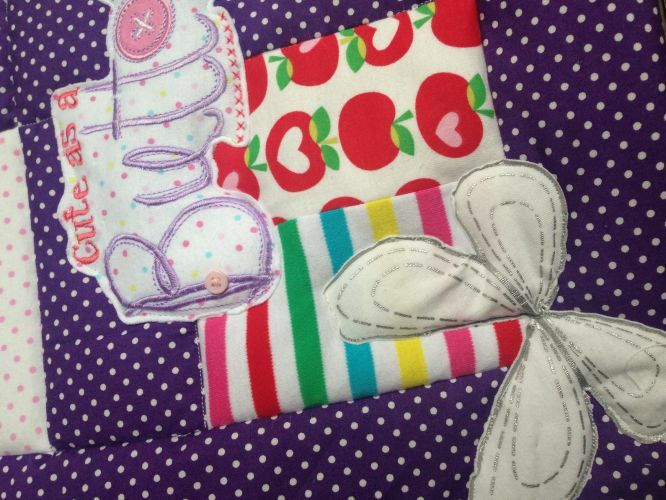 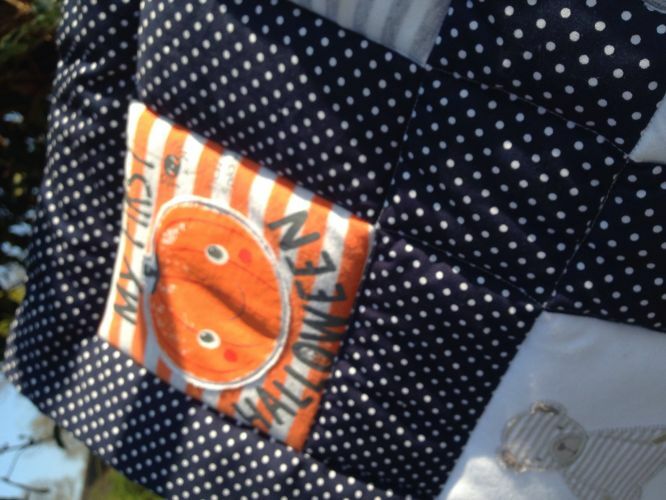 These special items are totally unique and each child's different clothing inspires me to create the perfect quilt for them. 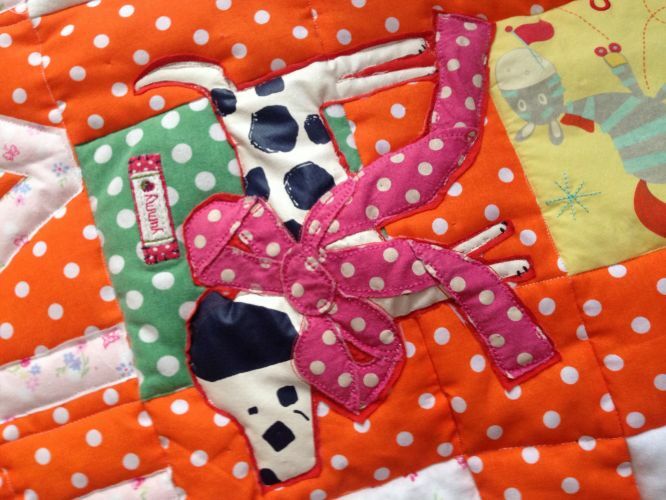 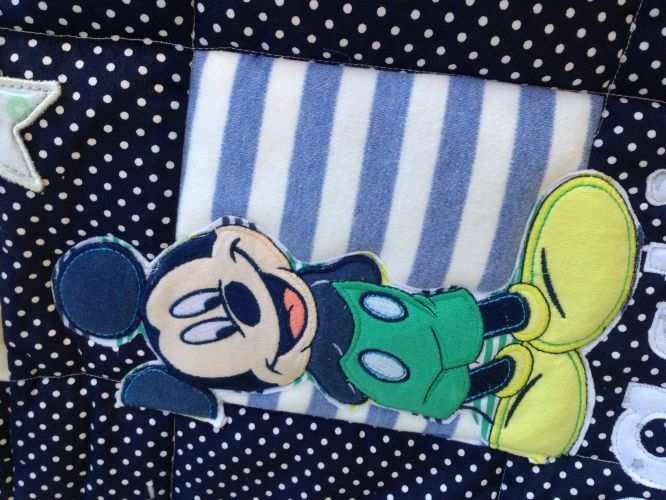 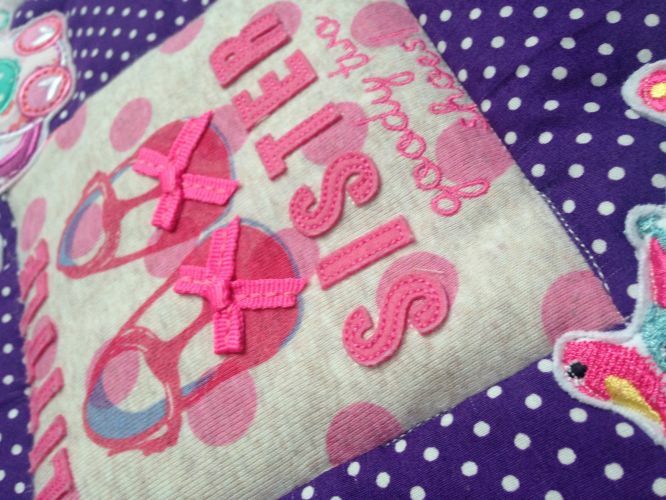 I use a sashing technique to 'frame' each patchwork square of the quilt and use clothing to personalise the quilt as well as add on appliqué work. 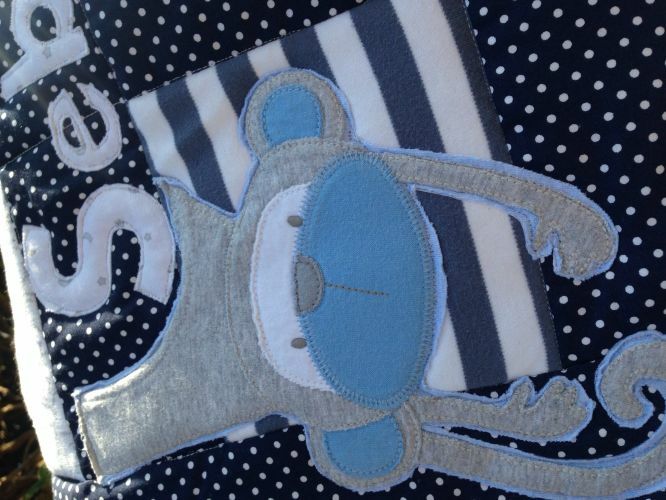 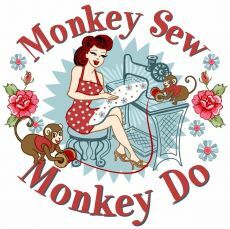 This has helped give my completed Memory Quilts a signature Monkey finish.